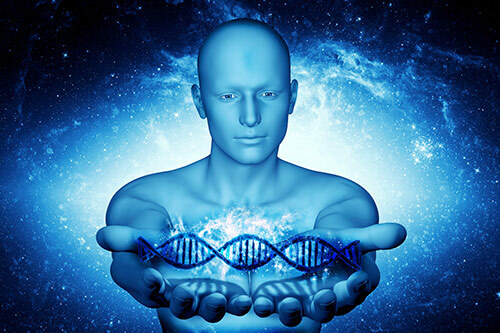 Fifteen years after the first map of the human genome emerged through the Human Genome Project (HGP), the debate has persisted on whether genomics has moved beyond the hype of 15 years ago. Anu Acharya, CEO of personal genomics and diagnostics developer Mapmygenome, recently answered yes: “After the usual hype and hyperbole for a decade or so, genetics has become part of clinical practice worldwide and has the power to revolutionize healthcare,” she wrote June 15 in the Indian magazine Express Healthcare. Yet skepticism persists about how genomic reality compares with the rhetoric about curing disease and revolutionizing medicine. “The overselling of the Age of Genomics—the hype about the hope, the silence about the disappointments—gobbles up funding that we might spend better elsewhere, warps the expectations of patients and the incentives of scientists, and has implications even for people who pay genetics scant attention,” David Dobbs observed on BuzzFeed. The truth, pardon the cliché, lies somewhere in between—though closer now to hope than hype. Now as NIH director, Dr. Collins remains positive: “We have never witnessed a time of greater promise for advances in medicine than right now,” he said April 30 in testimony to the U.S. Senate Subcommittee on Labor-HHS-Education Appropriations, urging support for President Obama’s proposed NIH budget. Three investigators offer more sober, yet mostly upbeat assessments of the progress and challenges of translating genomic hype into hope. “The expectation that there will be some flip of a switch and all of a sudden genomics will be everywhere in medicine does not accurately reflect the degree of understanding that must be achieved from all of the data we can now generate, and that understanding takes some time,” Eric E. Schadt, Ph.D., director of the Icahn Institute for Genomics and Multiscale Biology, and chairman of the Department of Genetics and Genomic Sciences at Icahn School of Medicine at Mount Sinai, told GEN. While the transformation resulting from bringing genomics to medicine appears slow given human impatience, “We are crossing a threshold of sorts that has genomic research progressing well into the medical practice,” added Dr. Schadt, who is the Jean C. and James W. Crystal Professor of Genomics at the Icahn school and a member of GEN’s scientific advisory board. The last 14 years, he said, has yielded astonishing progress in using the human genome, and in technologies that enabled broad searches for variants. Those variants have helped elucidate the complexity of human disease—from Mendelian disorders that manifest in the womb, to rare disorders that may manifest later in life, common diseases that have many causes, drug response, and cancer. Increasingly, the technology that enabled DNA sequencing enables RNA sequencing that offers a deeper level of functional profiling than previously possible, Dr. Schadt said, enabling the broad characterization and disease implication for protein coding and non-coding RNAs alike. Jason Park, M.D., Ph.D., medical director of the Advanced Diagnostics Laboratory at Children’s Health Dallas, told GEN genomic research has progressed toward translation in disease diagnosis. As recently as five years ago, he noted, it was not possible to sequence two or three of the genes known to be associated with a disease. Now it is routine to sequence all known genes, into the hundreds, or an entire exome clinically. “There has never been a better time for disease diagnosis in genetics,” said Dr. Park, who is also assistant professor in the Department of Pathology and the Eugene McDermott Center for Human Growth and Development at University of Texas (UT) Southwestern Medical School. Earlier this year, researchers presented positive results linked to evolocumab, an investigational human monoclonal antibody that blocks proprotein convertase subtilisin-kexin 9 (PCSK9), which reduces the liver’s ability to remove LDL cholesterol from the blood. Patients treated with evolocumab were half as likely to die, suffer a heart attack or stroke, be hospitalized or need a procedure to open blocked arteries compared with patients receiving standard care. Dr. Park said genomic research has made less progress toward translation, however, where targeted oncology therapeutics is concerned. He cited Novartis’ Gleevec (imatinib) for chronic myeloid leukemia. While Gleevec is more tolerable than previous treatments and has improved overall patient survival, the five-year overall survival is still less than 60% in patients 65-74 years of age. In advanced lung cancer, the five-year survival has only improved several months over the past 40 years and remains below 5%. Two factors, he said, will decide the fate of oncology genomics in the next five years: The success of basket/umbrella trials introduced by the NIH, and the success of immunologic therapies. Treatments targeting the programmed death 1 (PD-1) and cytotoxic T-lymphocyte-associated protein 4 (CTLA4) receptors have dramatically reversed multiple tumors in recent years, with combination therapies now being studied for cancers where the drugs have shown less success. If immunomodulatory trials demonstrate improvements in long-term survival, Dr. Park asks, how much longer will pharma continue investing in targeted therapeutic discovery? Dr. Park and Jonathan A. Eisen, Ph.D., a professor at University of California, Davis, agree that in fulfilling the promise of genomic medicine, major progress has been made in generating sequence data. Every conceivable genetic target or pathway with an associated human drug available can be sequenced by multiple commercial and academic clinical laboratories. Carrier screening assay are now largely carried out on next generation sequencing panels, while non-invasive prenatal testing has become sequencing-based. NGS is increasingly routine at major cancer centers and applied to clinical decision-making. “This has all happened within the last 10 years and to me feels like real, steady, even rapid progress,” Dr. Schadt said. Dr. Eisen added that the ability to produce data has long exceeded the ability of labs to store, and especially to analyze, that genetic information. The prediction of organismal features from genomic data represents the area where the least progress has occurred. Perhaps the biggest obstacle since HGP, Dr. Schadt said, is the initial expectation that the genome would yield quick insights on mutations leading to targets, leading in turn to new drugs. “In order to more fully understand disease we will need to look at multiple dimensions in order to have enough pixels of the picture filled in to understand what the picture is saying. We will need RNA, metabolomics, proteomic, microbiome, environmental characterizations to get to the most complete picture,” Dr. Schadt said. That’s an understatement. Translation becomes harder when researchers face challenges that range from funding research to keeping up with technology. But as sequencing costs have plunged from $1 billion to just under $1,000, more insights into disease should finally emerge. Those insights typically need a decade, usually more, to advance from target validation to marketed drug—likely longer than the 13 years it took to complete HGP. Colorectal Cancer: Are Genetic Tests Clinically Useful?